When you guys did the iPod, Steve joked it was good to have products that were above five percent share. One of the things you did was to create a range of iPods, not just last year's model. You wound up with this whole range of things. You haven't done that with the iPhone. A large screen today comes with a lot of tradeoffs. Customers are clearly looking at the size, but they also look at things like "do the photos show the proper color? The white balance, the reflectivity, battery life. The longevity of the display." 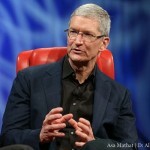 Despite the drawbacks, though, Cook didn't dismiss the option of developing a second iPhone model. While the company "hasn't so far," he added that this "doesn't shut off the future." As always, we'll keep you updated with further news as it becomes available. 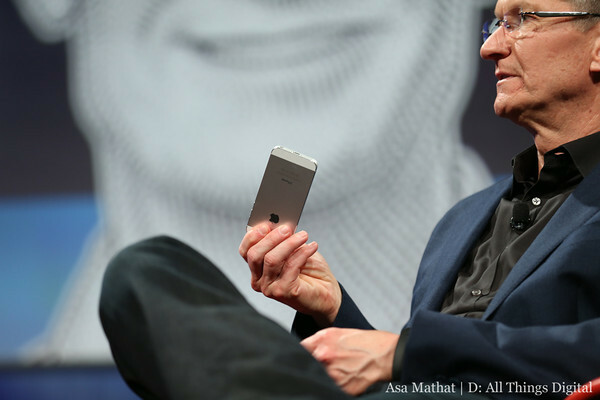 In the meantime, see: Is The iWatch Close At Hand? 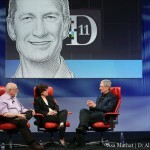 At D11, Apple CEO Tim Cook Says "The Wrist Is Interesting", Apple CEO Tim Cook Confirms Jony Ive's Design Influence On iOS 7, and Samsung’s Smartphone Revenues Outshine Apple In The First Quarter Of 2013.